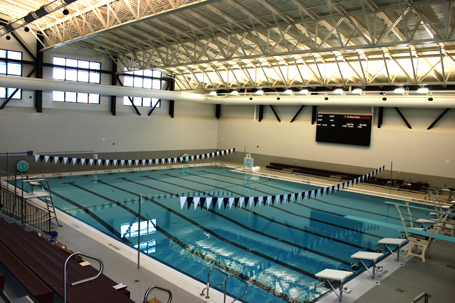 The Buffalo Public Schools commissioned Counsilman-Hunsaker, in association with Hamilton Houston Lownie to design a new state-of-the-art aquatics facility for the students, faculty, and community to use and enjoy. The new pool consists of an eight-lane 25-yard competitive pool with two 1-meter springboards to meet the demands of the swimming and diving programs. In addition to the natatorium, other new additions comprised of a gymnasium and science classrooms.